Finding out where to park before a date is not only convenient, it shows that you are responsible and put together – an indispensable virtue. How does it look to someone if the person that is potentially the one that will be in charge of their family can’t find parking or didn’t bring enough money for it and therefore cannot go to wherever he planned on going? 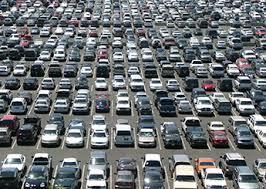 Most places in new jersey have their own parking lots so you don’t really have to think about parking. The problem is mainly in Brooklyn and Manhattan. Brooklyn is somewhat easier because you could more often than not find a spot on the street. Worse comes to worse, you might have to circle a little bit and walk a few blocks. In Manhattan it’s a little tougher. Since there are a lot of high rise buildings the population is a lot denser. This creates a shortage of parking spots for everybody. 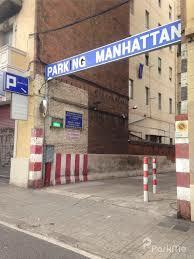 At nights and Sundays there are more available parking spots on the street. This is because a lot of the streets the city only allows you to park after six or seven o’clock. Another reason is because a lot of people work in Manhattan and leave at about six. If you can’t find parking on the street in Manhattan the best place to park is in an underground garage which are quite plentiful. On street or in underground garage? An underground garage in Manhattan can cost you a lot of money if you pay on the spot. What you can do is book online at a parking spot site like spothero or parking.com. You can do this on the spot if you have a smartphone or if you don’t you can book it in advance or have someone else book it for you. Another advantage of booking a parking garage online is that you can find the cheapest spots around where you want to go. If you have a promo code to any of these sites – which are available especially if it’s the first time using it (you could always another email and make it your first time – ask your LOR if this is permissible) – it can be even cheaper. The downside however, is this eliminates the possibility of find parking on the street which can cost you considerably less. It depends on what’s important. Let’s break it down into three categories. The second category is if you want to save money (sometimes up to 65%) but still want to look half classy. This mehalech is to order your spot before on-line using a platform like spothero and than showing the confirmation to the garage attendant when you arrive. This can be done either with a smart phone or if you don’t have one by printing out a paper confirmation. This is why it’s only half classy. The third category is for people that are close to broke and have to save every penny possible. You also have to have a smartphone for this. First, look around if you can find parking on the street. If not, go to a parking app or website and book there. (his way you can spend the least money possible. This mehalech is not recommended especially if it’s an early date and you still have to give off a good impression. Parking on a date can sometimes be a hassle. But remember, your date is watching you. Even though it might be a small factor in a decision, the more misuder you come across the better impression they get of you.